It is Worth Moisturizing Acne-Prone Skin? How Moisturizing Can Help Acne Prone Skin? How Often Should You Moisturize Acne Prone Skin? How to Choose the Perfect Moisturizer for Yourself? Experience has probably shown you that you cannot blindly trust moisturizing products claiming to be suitable for acne prone skin. In so many cases this is simply not true, and they will often trigger outbreaks and worsen them. What’s frustrating is that so many comedogenic moisturizer products are not oil free. And that is a huge problem for the following reason. 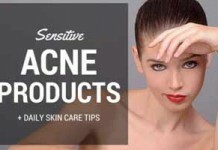 Acne is caused by pores in your skin becoming blocked with impurities and oils. As these build up bacteria can also develop and your body can overreact to this. 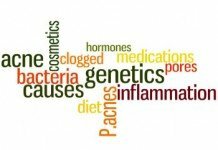 The result is the dreaded inflammation that is difficult to control and even painful at times. With the vast majority of creams and lotions being oil based, you might have even given up on moisturizing all together. But this is also not good for your skin and can quickly cause premature aging. The way you can tell if a product is suitable is by applying a small amount to the back of your hand. Within a few seconds of rubbing, it should be fully absorbed without leaving a slightly greasy feel. Fortunately, there are comedogenic lotions available that are truly oil free and purely water based that absorb fast and don’t clog up your pores. We have found the best options available and have listed them here for your review. If you’re in a rush, below are the top 3 best Non Comedogenic Lotions & Moisturizers For Acne Prone Skin. Nourishes and replenishes the skin. Suitable For Oily, combination, dry and to some extent, sensitive skin (but there are better options listed here). Why moisturization for acne prone skin is important? Difference between a moisturizing cream and a moisturizing lotion. 20 handpicked acne moisturizers and lotions that won’t clog your pores. Discover the exact pros and cons of each of these moisturizers for acne, and learn how to use them effectively. A common myth is that people with acne prone skin do not need to moisturize as they are already trying to cut off some oil from their skin. However, moisturization is a vital part of skincare routine which is not based on the skin type you have. Everyone needs to carry out moisturization no matter what their skin type is. Just to make you believe in the power of moisturization, we have included opinions of different dermatologists and skin experts. This will surely convince you on why moisturization is an essential skin care ritual. Apart from this, he also warns what ingredients or elements should be avoided while choosing a moisturizer. How will your day progress if you don’t drink water, at all? Weak, painful, and perhaps you’ll feel like dying. Same happens with your skin when you don’t provide it with adequate moisture throughout the day. The benefits of hydrating your skin may not be visible right away, but you will surely experience them over time. Caffeine: This provides your skin with instant perking and plumping, which is very important after having a rough night. Occlusives: Certain ingredients that lock in water and ensure prevention of water loss in your skin. Humectants: They help skin cells attract water. Emollients: These ingredients eliminate flaking and roughness from your skin. So, thanks to these ingredients, a day after using a good quality moisturizer for acne, you will find your skin softer, smoother, and healthier. Greater rewards of skin moisturization are reaped over the long haul. Moisturization can be extremely helpful at keeping the signs of ageing at bay, studies have proven it. Because it allows your skin to function optimally, the skin cells get the ability to do damage repair and turnover fresh skin cells. This makes proper skin moisturization more important for men as they are relatively more prone towards premature ageing than women. To choose a moisturizer that won’t aggravate your acne, we have enumerated below some tips. The fundamental step in choosing the right moisturizer for your skin is reading the labels on the pack. If you have an oily skin which is prone to acne, you should get a moisturizer that is either labelled oil-free or non-comedogenic. Products that are labelled as such are free from added oils that tend to leave a greasy and slick residue on your skin. Non-comedogenic products do not clog your pores hence making your skin less prone to break outs. Apart from this, always go for a moisturizing lotion instead of a moisturizing cream. Moisturizing creams have a thick formula which might feel heavy on oily skin. Moisturizing lotions absorb quickly and do not leave residue. While checking out the ingredients look for ingredients that serve as exfoliators. Many moisturizers contain salicylic acid, retinol, alpha hydroxy acids that act as exfoliating agents. Such ingredients prove really helpful for comedonal acne i.e. blackheads and whiteheads. Exfoliators help in loosening dead skin cells from the surface, unclogging your pores. As a result, your acne vanishes. In case you are using any topical medication for curing acne, then do not look for exfoliating ingredients. Moisturizers with these ingredients might irritate the skin causing peeling or flaking. So, it is better to consult your dermatologist as to which moisturizer you should use. Hypo-allergenic means something that does not contain ingredients or elements that might cause you allergic reaction. 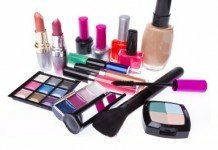 There are many skincare products that contain different irritants such as alcohol, parabens and added fragrance. Fragrances irritate acne-inflamed or sensitive skin. Also, if you have an extremely dry skin these irritants can cause burning or stinging in extreme cases. So, choose a moisturizer that labels hypo-allergenic and fragrance-free. Please Note: Unscented does not mean fragrance-free. If you have sensitive skin then consider moisturizers that are lanolin-free, formaldehyde-free and paraben-free. Using a sunscreen regularly protects you from aging and Ultra-Violet Rays. An SPF is also important because if you are on some treatment for acne, your skin gets photosensitive. So, you need to keep your sun exposure as minimum as possible and use an SPF daily. Many moisturizers now contain certain SPF so it is easy to get moisturization and sun protection altogether. Some common acne treatments that may potentially increase photosensitivity are Retin-A, Accutane and Benzoyl Peroxide. It is a great option to seek advice from your dermatologist. He or she better knows your condition and will suggest you a moisturizer that will work well for your skin. Besides, if you are not on a certain treatment, you can consult an esthetician. An esthetician performs different body treatments and focus on the beautification of skin. Therefore, you can also seek their help. A moisturizing lotion has a greater percentage of water in its composition and hence, it has a visibly thin consistency. It is easy to apply and gets absorbed in your skin very quickly. This is the reason why it feels so light on your skin. A moisturizing cream usually comprises of half oil and half water. They provide a barrier which keeps the skin ultra-hydrated. It is heavier than lotion and tends to be slightly greasy on extremely oily skins. This is why they are sold in a jar or tub container. Lotions being reasonably hydrating and light-weighted work well for people with oily skins. Apart from this, people with dry skins can also use lotion in hot and humid weathers. Creams are more suitable for people with dry skins as they offer deep moisturizing. Besides, it does not feel heavy on dry skins or leave a greasy residue. In addition to this, people can switch from lotions to creams in cold weather as they require additional skin hydration. 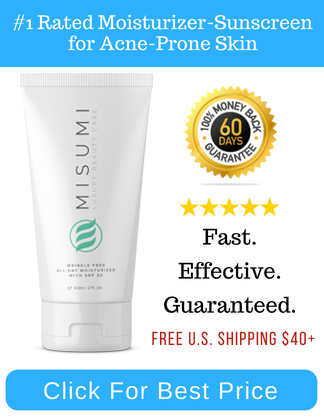 Misumi’s Wrinkle-Free All-Day Moisturizer is our favorite go-to product for keeping our skin supple and hydrated without worrying about clogged pores. The reason we love this product is because on top of nourishing the skin and locking in moisture, Wrinkle-Free All-Day Moisturizer is also a great acne and anti-aging skin treatment. This is because it helps to reduce blocked pores and acne, while fighting premature signs of aging. This moisturizer is packed with powerful and safe ingredients like Beeswax, Zinc Oxide, and Glycerin. Glycerin is usually used to treat oily skin conditions like acne as well as fine lines and wrinkles. It is great for improving the skin’s elasticity, smoothing out fine lines and wrinkles and also increasing moisture in the skin. Beeswax is an excellent emollient. It will create a barrier that will lock in and retain moisture for the rest of the day. We also love the lightweight consistency that sinks into the skin easily. Locks in and retains moisture. Blocks free radicals, keeping the skin looking youthful. 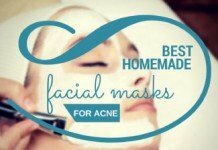 Reduces blocked pores and acne. Leaves the skin supple and glowing. This moisturizer is pricier than its competitors (selling at $29.99). However, they do offer a 60-day money back guarantee. Apply moisturizer twice daily after cleansing and skin treatment. If there’s one brand that has stood the test of time in delivering results oriented products for acne prone skin, it is definitely Exposed Skin Care. This oil-free Moisture Complex is part of their Expanded Acne Treatment Kit. Its natural ingredients ensure that moisture is properly locked in to your skin, without causing irritation. Suitable For: Oily, combination, dry and to some extent, sensitive skin (but there are better options listed here). Ingredients: Mostly natural, including: Pumpkin seed (soothes irritation), green tea extract (rebalances your skin), and caffeine (fades redness). Locks in moisture to your skin without giving you a greasy outlook. Works great in keeping skin moisturized in the dry winter season. It will leave your skin with a soft and smooth sensation. If used with the Expanded Acne Treatment Kit, it guarantees a clearer and smoother skin in 30 days. If not, you’re entitled for a full refund! In rare cases, it can produce slight stinging for sensitive skin. You’ll have a hard time wearing makeup over it. Doesn’t work as good on its own as with Expanded Kit of Exposed. Use it twice a day, morning and evening, to get maximum coverage for the whole day. Pat it on your skin, do not try to rub. If you want a natural moisturizer that doesn’t clog your pores, restores your damaged skin, and fights the signs of ageing, it has got to be this Levander night cream from Keeva Organics. 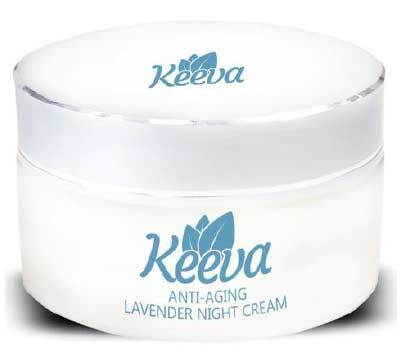 Keeva Organics is growing brand in the natural skincare space and this cream has been among their most popular products. Ingredient: Hyaluronic acid, organic jojoba oil, shea butter, retinol, and vitamins C and E.
An effective blend of proven scientific and natural ingredients like Retinol, Hyaluronic Acid and Jojoba oil that repair your damaged skin and restore skin’s moisture. Presence of natural ingredients ensures that it’s not harsh on the skin and is suitable for even sensitive skins. Results are not instantly dramatic. Requires a fair amount of usage to se noticeable results. Relatively expensive than other products listed on this post. Use once a day, preferably during the night. Apply evenly on your face with circular motions. Gently massage until it absorbs. Known for its safe hand-crafted formulation, Christina Moss Naturals Organic Facial Moisturizer is one of the best organic product for your acne prone skin. It has the potential of protecting the skin from dryness and skin aging. It is light and absorbs quickly into the skin and makes it look balanced. Doesn’t make your skin look greasy. Since all the ingredients are certified organic, so it works well with sensitive skin and will not cause any allergic reactions. The shelf life of this product is short. If you are planning to keep it for months or years you can look for something else. Undoubtedly one of the best moisturizers for acne prone skin. 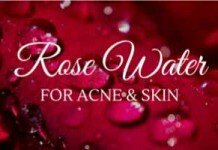 Not only will it provide a nice dose of hydration to your skin, but the unique blend of its ingredients helps to clear out any acne causing bacteria and ensures that your skin pores remain clean. Suitable for: All except very dry and sensitive skins. Active ingredient: the main ingredient in this Clean & Clear Advantage Acne Control Moisturizer is salicylic acid. 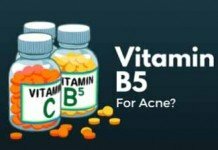 Anybody who has ever suffered from acne knows that this is one of the most effective over the counter acne medications for eliminating acne once and for all. 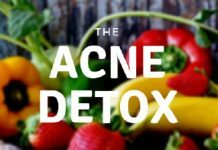 Helps fighting and preventing acne. This makes it suitable for anybody who suffers from acne regularly, no matter what the reason is. Hydrates the skin. Just one application of this will keep the skin hydrated for the rest of the day. Although, it does contain salicylic acid, it wont excessively dry out your skin like most pimple treatment products out there. Only really suitable for those who are suffering from acne. 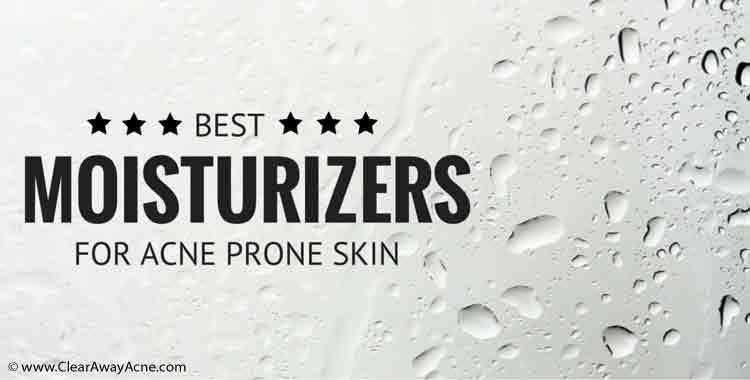 Those who just need a pure moisturizer may want to look at the other Clean & Clear product on this list. Salicylic acid causes irritation in some people, specially when used in conjunction with another acne product. If you are looking for just a moisturizer, you may want to look elsewhere. This Gytone Acne Lotion, as the name suggests, it is a specially formulated oil free lotion for acne prone skin. Suitable for: All skin types. 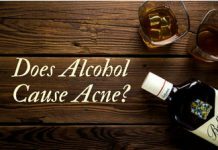 However, since this particular product contains salicylic acid, people with very sensitive skin may not respond well to it. If you have used salicylic acid containing products before and have suffered from skin irritation, this may not be the perfect choice for you. Active ingredient: Salicylic acid. This helps to eliminate dead skin cells from the surface of your skin as well as eliminate any excess oil build-up. The inclusion of the salicylic acid (1% strength) ensures that it is quick to clear up your clogged skin pores. You do not need to use any other acne treatments in tangent with it. It is suitable for people with excessively oily skin. Once again, this is due to the inclusion of the salicylic acid. It helps to dissolve any excess oil build up. This helps to keep the pores of the skin clean. Only really suitable for those suffering from acne. Not everybody’s skin is going to respond well to salicylic acid. This Murad Skin Perfecting Lotion, as you can probably guess from the name, is not just about injecting a healthy dose of hydration into your skin. It is also all about ensuring that your skin remains looking gorgeous from all aspects. It accomplishes this in a multitude of ways. Suitable for: All skin types. However, it is (though lightly) oil-based. This means that if you have excessively oily skin, it may cause a few problems. Active ingredient: Queen of Meadow extract. This is one of only a few products that contain this ingredient (the only one on this list). It helps to tighten your pores and reduce excess oil production. This, essentially, protects you from acne and pesky pimples. Helps to perfect the look of your skin. With the addition of the Queen of Meadow extract, your pores are going to become virtually invisible. Soy flour promotes elasticity in your skin. Any blemishes will disappear rather quickly. Some people with excessively oil skin may not get the full benefit out of this perfecting lotion for acne. It is a touch on the expensive side, but you only need to use a small amount for the best effect. This product is ideal for those having dry skin. Though it doesn’t contain any famous anti-acne ingredients, the fact that it does make your skin more hydrated and prevents pore clogging through natural astringents justifies its popularity. Suitable for: All skin types. This is an oil free acne lotion. Active ingredients: Lemon, Cucumber and Burdock. All of these work in tangent with one another to inhance your skin’s moisture levels and texture. Virtually natural moisturizer. This means that it will cause the minimum amount of skin irritation (if any). Easy to apply. You won’t have any excess cream. Boosts hydration on the surface, whilst penetrating deeply. So hydration issues can also be tackled in the long term. Astringents in this product help to keep the pores nice and tight. This prevents them from becoming blocked. If you are already suffering from acne, this product is not enough to eliminate it. You will need other products. That being said, it will keep any future acne issues at bay. Olay has a reputation of manufacturing products that aren’t just effective, but are suprisingly affordable too. The Olay Fresh Effects Dew Over Hydrating Gel Moisturizer is testament to that. Best for: This is an oil-free moisturizer. This makes it one of the best moisturizers for oily acne prone skin. Incredibly affordable in comparison to other creams for acne on the market. One application of the moisturizer will give you 24 hours of moisturizing goodness. You only need to use a dab of it too. One of only a few oil-free moisturizers on the market which genuinely seems to work. Not ideal for those who have extremely dry skin. Elderly people may have a hard time getting used to it, because it is mainly marketed towards young adults. But the truth is that you can’t be 100% sure if any product will work out for you or not, for every skin is made different. Right off the bat, it is perhaps worth noting that this is not a dedicated moisturizer. Instead, it has been built for dealing with acne. That being said, if your acne is caused by incredibly dry skin, this is almost certainly the route that you are going to want to go down. 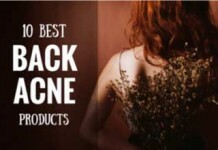 With the Clinique Acne Solutions All-Over Clearing Treatment you will, essentially, be killing two birds with one stone. Suitable for: Those who are suffering from acne and find that their skin is not responding to other treatments available to them. It is ideal for those who have skin which is sensitive to benzoyl peroxide. Lightweight cream. Just a small amount is perfect for ensuring that your skin remains hydrated. This is an acne treatment ‘at heart’. Its main job isn’t to moisturize your skin, it is to form a protective layer and keep that acne at bay. Incredibly effective when you find that other treatments available to you do not seem to be working. Only suitable for those who are suffering from acne. Very few others will get benefit from it. Only use this if benzoyl peroxide does not work on your skin, or if you are sensitive to it. Most people will find that products which contain benzoyl peroxide are so much more effective. Once again, this is a moisturizer which has been designed to deal with acne. It comes in the form of a very light oil-free cream. 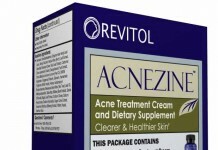 Unlike most other acne treatments, however, you will not need to carry out a ‘spot treatment product’ with this one. You can just put it all over your face to prevent your acne and to keep your skin moisturized (you only need a light layer). Suitable for: This product has, mainly, been designed for dry skin. However, those who are also battling oily skin may get some use out of it. Not just moisturizes your skin, it also ensures your pores don’t get clogged any more – thanks to the presence of salicylic acid. Also helps to prevent acne. That means if you are not currently dealing with the condition, it is fantastic at keeping it at bay. 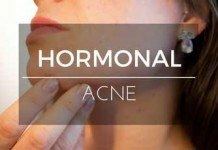 If you’re sensitive to salicylic acid, this will make your acne worse. Tip: A small dab applied to your skin at the start, will allow you to see whether you have any adverse reactions to it. Slightly more expensive than similar acne treatment products on the market. But that doesn’t mean it is any less effective. The Neutrogena Oil-Free moisturizer is so much more than a moisturizer. It is also designed to act as a sunscreen. 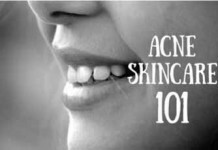 This is incredibly important when it comes to overall skin care for your acne prone skin. Using a product like this ensures that your skin will always be protected from the harmful rays of the sun. Suitable for: All types of skin. It contains no alcohol, oil, and is completely fragrance free. If you’ve had a bad experience with other moisturizers on the market, there are good chances this may work for you. Doubles as a sunscreen. This helps to protect your skin from harmful UVA and UVB rays. Prevents skin damage. You should be wearing sunscreen no matter what the weather actually is. It is two products rolled into one. As with many other similar products on the market, it will do the two jobs well, but it will never do them brilliantly. If you really want the best protection for your skin, you will need to purchase a separate moisturizer and a separate sunscreen. When it comes to natural acne treatments, Burt’s Bees are some of the best in the business (claimed to be 99% natural). Therefore, if you are suffering from acne, you may want to take a little gander at the Burt’s Bees Natural Acne Solutions Daily Moisturize. Suitable for: All skin types will benefit with this particular product. It is a tailor made non comedogenic moisturizer for acne prone skin. Active ingredients: There are a number of active ingredients in this product. Salicylic acid, sourced naturally, is the main one. In addition to this, there is lemongrass, witch hazel, goldenseal, and some hops which help to combat irritation. The salicylic acid is perfect for clearing up acne on the skin. It exfoliates as well as deals with any bacteria which may cause acne. It helps to really control oil production in your skin. This makes it perfect for those who are suffering from excessively oily skin. Salicylic acid is not going to be for everybody. Even though the product is 100% natural, it may still cause minor skin irritation. Its strong scent is not admired by everyone. It’s has been designed to be used just once a day. It is suitable for those who are suffering from acne or just have general blemishes on their skin. This is due to the addition of a few key ingredients. Suitable for: All except very oily skin. So, a minor oily acne won’t be a problem. Active ingredient: Salicylic acid is at the heart of this concoction. As you may well know, salicylic acid is suitable for opening up clogged pores on the skin. This is one of only a few products on the market which includes soy. Soy is suitable for ensuring even skin tone. It is also brilliant and injecting moisture into the skin. Salicylic acid means that it will not only be helping to clear up your acne, but it will also be working double-time to ensure that it does not return. There is not as much salicylic acid in this product as there are in other products on the market. 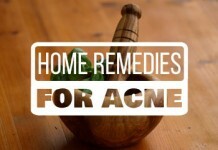 Therefore, those suffering from serious acne may not get all that much benefit out of it. The Fresh Umbrian Clay Oil-Free lotion is one of the more unique products on the market. As it is oil free, it is absolutely perfect for those who have oily skin, but they hate having that shine on their face. Suitable for: It is tailor made for those having oily skin. Active ingredient: Umbrian clay (main component). This clay helps to regulate oil production. This ensures that your skin stays moisturized without becoming too oily. In addition to the clay, this product is also packed with antioxidants. This helps to fight off free radicals on your skin, ensuring that skin damage is kept to the minimum. Regulates excess sebum production without drying out your skin. Most of the product is natural. This means that it is going to be perfect for your skin i.e. you will not deal with skin irritation. There have been reports of it causing redness and irritation on dry and sensitive skins. A touch on the pricy side. This is an incredibly unique product. In fact, at the moment, is one of only a few moisturizers on the market which contains oligopeptide-10 (more on that soon). It is a moisturizer built for those with excessively oily skin who are suffering from acne. Suitable for: Oily, acne prone skin. Even works for dry and sensitive skins. Active ingredients: Both salicylic acid and oligopeptide-10 are at the heart of this product. They work in tangent with one another to ensure that your skin remains clear of acne. 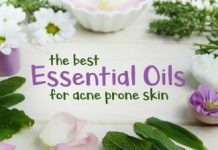 Often regarded as the best moisturizer for oily acne prone skin because of its unique formulation. Brilliant at keeping acne at bay whilst at the same time ensuring that your skin remains looking fantastic. Contains salicylic acid. For some people, this may be the cause of irritation. Not a good choice for severely oily skin. This Olay Professional Pro X clear UV Moisturizer has been designed to not only help combat the effects of ageing, but also to ensure that acne is kept at bay. Suitable for: All skin types. Those suffering from excessively oily skin will probably get the most benefit out of it. This is because it is oil-free. Active ingredients: Avobenzone, Homosalate, Octisalate, and Octocrylene. Each of them performs a different job when it comes to dealing with acne and the various signs of ageing. This is more than just a moisturizer. It has been carefully crafted to help keep acne at bay. 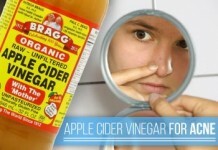 This means that it will eliminate any of those pimples that appear on your skin quickly and easily. Protects against sun damage, which is one of the biggest factors when it comes to ageing. Helps to restore a sense of color balance in your skin. In order to get the most out of this Olay Professional Pro X clear UV moisturizer for acne, you are going to need to use it in combination with other Olay products. This can mean that the price is a bit prohibitive for some people, but it is going to be completely worth it when you notice the amount of benefit that it has on your skin. This Boscia Oil-Free Daily Hydration moisturizer acts as both a moisturizer and a sunscreen. It will gently reduce oil production to ensure that your skin looks smooth and gorgeous. In addition to this, it helps to combat signs of ageing, and will also help minimizing acne. Suitable for: Since this is an oil-free moisturizer (which essentially means it is non comedogenic), it is going to be best used by those who are suffering from high oil production, even if they are not tackling acne at the same time. Active ingredients: Jojoba leaf is one of the main active ingredients in this Boscia oil-free moisturizer. It works hard to ensure that free radical damage is kept to an absolute minimum. This is an almost natural product. This means that it is going to cause next-to-no irritation on your skin. Chemical-based products tend to be irritating for some people. Helps to fight off the signs of ageing. Willowherb, one of the other active ingredients in this product, helps to calm skin inflammation and reduce redness and irritation. It is a very small bottle and remarkably pricy. Whilst it is effective, those who are on a budget may wish to look elsewhere for other products. This Proactiv Plus Green Tea Moisturizer has been crafted from some of the best ingredients that nature can offer. It is a lightweight moisturizer which has designed to provide your skin with a nice little boost in terms of smoothness. Suitable for: This is suitable for all skin types. However, those with excessively oily skin may wish to look elsewhere. Active ingredient: the active ingredient, as you can probably guess from the name, is Green Tea. Green Tea is one of the most powerful antioxidants that nature offers. It not only helps to inject a touch more moisture into the skin, but it also helps to fight off any free radicals which can lead to signs of aging. This is a lightweight non comedogenic moisturizer which is perfect to use as your day-to-day moisturizer. The low price, in comparison to some other products on the market, means that you can use it even if your budget is fairly low. Helps to soothe tired and irritated skin. It does not clog pores. This means that you are not going to have to worry about it having an impact on acne. It is not suitable for those with excessively oily skin. It is not suitable for those suffering from acne as it does not contain any ingredients specifically for keeping this at bay. This is a twice-daily use moisturizer. You should be applying this both in the morning and in the evening. It will almost instantly hydrate your skin. Suitable for: All skin types. Oily, dry, sensitive, combination – you name it. Yes, the price of this is slightly higher than similar products on the market. However, generally speaking, you are going to need a lot less than other moisturizers in order for it to work effectively. This means that you are going to get so much more bang for your buck. Has the ability to repair dry and damaged skin. This product is ‘mainly’ chemical based. So, this may not suite you if your skin is not used to of chemicals. In order to get the most out of this moisturizer, you need to use it twice a day. For some people, this is going to be quite a tight regime. This Cetaphil Daily Facial Moisturizer has been designed to ensure that moisture stays locked into your skin. In addition to this, it also acts as a sunscreen. This ensures that your skin has the highest level of protection from harmful UV rays. Suitable for: All skin types would benefit from this gentle non comedogenic moisturizer for acne prone skin. Since it is non-greasy, those who have oily skin may find it slightly more beneficial. This is a light cream. The smallest amount will ensure that your skin stays silky smooth. Just one application, on a daily basis, will keep your skin in perfect condition. The moisturizer also acts as a sunscreen (SPF 15). This prevents harmful UV rays from increasing the signs of ageing. If you are suffering from acne, there are no special ingredients in here which will eliminate the condition. However, if you are trying to keep acne at bay, this cream will not clog up your pores. This DermaControl Moisturizer is one of the most powerful sunscreen moisturizers on the market right now. Whereas most moisturizers hit SPF 15 at the most, this one goes right the way up to SPF 30. This provides the highest level of protection from the sun. Suitable for: All skin types. It is fragrance free and oil free. This means that you are not going to have to worry about it clogging up your pores. This is one of only a few SPF30 moisturizers on the market. It will help to protect you from the harmful UV rays that the sun emits. This helps to combat the signs of ageing. Provides a matte finish. Again, one of only a few moisturizers on the market which accomplishes this. The way it has been formulated ensures that skin irritation is kept to the absolute minimum. Helps reduce dryness which is often caused by certain acne medications (Retin A, Accutane, Tararotene – being the prominent). Some people report that this particular moisturizer is not good for sensitive skin. If you are sensitive to certain soaps, you may want to give this one a skip. Can turn out to be way too moisturizing sometimes. This will get you in trouble if you have oily skin. This CeraVe Moisturizing facial lotion is slightly different to other moisturizers on the market. It contains ingredients which many others do not include. This means ceramides, hyaluronic acid and niacinamide. Therefore, if no other moisturizer seems to be having the desired impact on your skin, you may want to take a little look at this one. Suitable for: All skin types. Since this is an SPF30 moisturizer (i.e. also acts a sunscreen) it is especially suitable for those who live in areas with intense sun exposure. Active ingredients: Ceramide is one of the most active ingredients in this moisturizer. It provides a healthy dose of nutrients to your skin. This ensures that your skin is well-protected from acne-causing bacteria. SPF30 moisturizer. This means that it is one of the most powerful dual moisturizers/sunscreens on the market. This moisturizer helps protect against the signs of ageing. Helps to repair damaged skin. 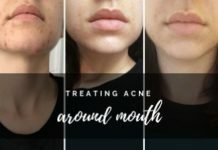 This may be useful for those who are dealing with acne. Ingredients are released slowly throughout the day. This ensures that skin hydration remains at its peak all the time. Not suitable for those who are currently dealing with a bout of acne unless you use it in tangent with other products. You do not just get one product with this Aveeno Positively Radiant Daily Moisturizer, you get three of them. This is two bottles of the moisturizer and one facial scrub (do check before you make your purchase, this special offer can change at a moment’s notice). Suitable for: All skin types. Many people who find that their face is left too oily by other moisturizers will surely benefit from this one. You can use this product on a daily basis. In fact, it is recommended that you do. However, there are some people who are using it 2-3 times a week and are still getting a fully hydrated skin. Oily skinned folks tend to benefit most from this product. Also acts as a sunscreen (SPF 15). This helps to keep harmful UV rays from impacting your skin. Basically, this is going to undo any sun damage which leads to ageing. Contains microbeads. Some people are, of course, against this. But there’s news it will be removed from the product soon, however. So, you might want to keep an eye on that! Jurlique Moisturizing Cream is beneficial for all types of skin that are prone to acne due to its strong healing powers. It is infused with ingredients such as witch hazel and spilanthes that are ideal for treating acne. Suitable for: All types including sensitive skin type. A rich moisturizing formula with potent calendula extract that deeply hydrates and comforts sensitive skin. Contains witch hazel extract and spilanthes that provide anti-microbial properties and fight acne-causing bacteria. It comprises of aloe vera and avocado which serve as the main source of hydration by making a barrier on your skin. Heals any redness, inflammation or irritation present. Does not leave a greasy residue on your face. It does not contain any synthetic fragrance. Since it contains witch hazel extract, it might cause allergic reaction to people who are sensitive to it. The cream doesn’t last long and is an expensive product. Derma E Very Clear Moisturizer is specifically formulated to control acne. It serves as an excellent choice for blemish-prone skin due to its all-natural ingredient composition that fights your acne. Provides proper balance between oil and moisture, unblocking pores, preventing bacterial infection and keeping your skin hydrated. Contains Tea tree oil which holds anti-bacterial and anti-inflammatory properties and combats your acne. The presence of chamomile extracts ensure that your skin is soothed from the acne marks and reduces itching and irritation. Other herbal extracts present in this moisturizer help in reducing acne scars. It is paraben-free and fragrance-free. Seems to be thick for extremely oily skins. Have a strong scent due to botanical extracts that might be unpleasant for some users. Did I miss any great non comedogenic moisturizer or lotion for acne prone skin? Want to share your thoughts or questions regarding this post? Share in the comments below! I use Palmers cocoa butter with vitamin e to moisturise…..do you think it’s a good idea? It’s a good one Derin! 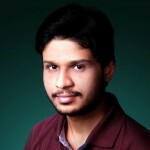 There also happens to be a product using this formulation that is doing quite well for the users. what if you don’t have those moisturizers, what would be some good substitutes from them to clear my skin of blackheads, acne, pimples and more. I also would like a smooth soft face. If i have acne can Plant and water moisten help??? What about the body shop products ? Does that range have non comedogenic moisturizers for acne prone oily skin as well ? Please lemme know ! My skin has been hell with pimples, blackheads and very oily, can’t even apply brown powder well. In a case these products ain’t found where I stay, what other creams can I used that re available on the market? Always do your due diligence when buying skin care products and please don’t wait to consult a doctor if your acne has gone severe. As for these over-the-counter products that you can’t access, you can always buy them from amazon.